1-Exclusive representative for biggest international firms for wind turbines for electrification & water pumping. 2-Pioneer Egyptian Co. for manufacturing of automatic combat shooting ranges & shooting training aids of all kinds used over the country . 3-Manufacturer of modern biomedical equipment. -Delivery & erection of wind generators for electrification & water pumping . -Delivery & erection of all kinds of cables, distribution panels and emergency power supplies of all kinds. -Delivery & erection of different kinds of laundry and kitchen equipments for hospitals and camps. 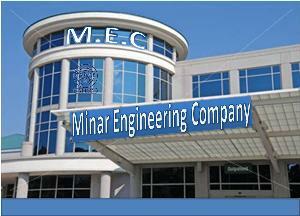 -Delivery & erection of all types of central, split and window air-conditioning & ventilation systems. -Delivery & erection of all types of different kinds of telephone systems, internal broadcasting, fire alarm & extinguishing systems. -Delivery & erection of different biomedical equipment. 5-Submitting of engineering services : consultations, erection, and maintenance works. 6-leading the design and manufacture of all agricultural waste recycling equipment. 7-leading the design and manufacture of charcoal production kilns. To be a leading company in the region and continue to grow and spread.We work in high technology and take the creativity and innovation approach to provide high quality products and services that meet the needs of our customers and contribute to the motivation and development of our employees. We are committed to provide solutions to environmental problems, equipping shooting fields, operating and maintaining hospital facilities and implementing electromagnetically contracting according to the highest quality standards to achieve the satisfaction of our customers. We will achieve our mission through our accumulated technical experience, innovation and continuous development of our products and services, development and investment of our human and financial resources, and having partnerships for expansion, development and deployment. We work to meet the needs, requirements and aspirations of customers. We seek to innovate new technology and renewable products and services. We believe in continuous development and excellence in every work we do. Professional qualification, appreciation and continuous stimulation of our human resources and support them with social and health insurance and modernize work systems and procedures in all areas of the companys scope of work. We establish a work environment based on positive interaction,complementary and mutual respect among all employees. Openness and disclosure and commitment to the responsibilities and duties assigned to staff based on the importance of secretariat and honesty. Keep in mind when designing and manufacturing our products of health, safety and environmental standards. 1- To achieve customer satisfaction and increase the market share of the local and foreign markets of the company. 2. Develop production and keep pace with modern technological achievements. 3. Development of organizational structure and development of human resources.